That’s when a producer who can’t get a studio movie made — like “Bird Box,” “Triple Frontier,” or “The Highwaymen” — takes the package to Netflix, which happily eliminates most of those pesky P&A costs and releases the film directly to consumers on its streaming platform. Soon, Disney+ may follow suit and release smaller, less commercial titles as platform exclusives. Ditto Warner Bros.
“You have to figure out what makes sense for each film,” Quinn told IndieWire. “Releasing ‘The Beach Bum’ on over 1,000 prints made sense. It’s how Harmony Korine’s audience should see the film. It was the only way to reach them nationally. Across multiple weeks, it was never getting to where we hoped it will go.” So far, the movie is at $3 million. Backed by 30WEST and working closely with Tim League’s 37-city Alamo Drafthouse chain, Neon is equipped to tailor each movie to the market, from current releases, IMAX-launched NASA archive documentary “Apollo 11,” and ecstatic 1972 Aretha Franklin concert film “Amazing Grace,” to upcoming family crowdpleaser “The Biggest Little Farm” (May 10) and Chinonye Chukwu’s Sundance Dramatic Grand Jury Prize-winner “Clemency” (August), starring Alfre Woodard and Wendell Pierce. Then there’s STX, a company that has seen a rogue’s gallery of box-office disappointments like “Mile 22” and “Happytime Murders,” but still stands thanks to “Bad Moms” and its sequels. Film chief Adam Fogelson swears that’s because the company is smaller, nimbler, and makes movies under $50 million (as well as forging a lot of service deals). He sees the studios spending way more (on infrastructure and executive salaries, among other things), while STX gets their money’s worth. 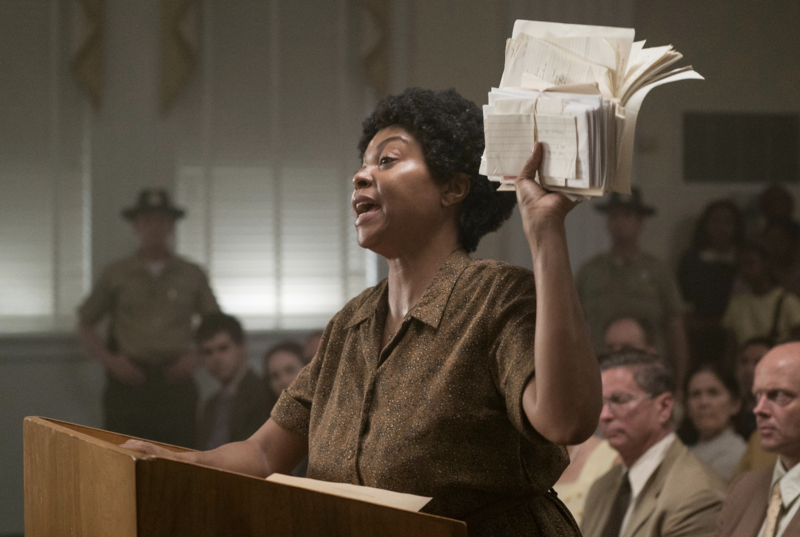 Last weekend, STX opened “The Best of Enemies,” a civil rights drama based on a true story starring Taraji P. Henson as a North Carolina activist and Sam Rockwell as a KKK member who becomes her friend and ally. Next up: Zara Hayes’ “Poms” (May 10) starring Diane Keaton as a woman who moves into a retirement community and starts a competitive cheerleading squad with Jackie Weaver, Pam Grier, Carol Sutton, and Rhea Perlman. “We are not in the tentpole movie business,” said Fogelson. Instead, he recruited Marvel stars Chadwick Boseman and Dave Bautista to topline STX films, offering them producer roles as well. Boseman stars in Brian Kirk’s fast-paced New York police drama “21 Bridges,” produced by the Russo brothers and co-starring Sienna Miller, Taylor Kitsch, and J.K. Simmons. And Bautista toplines Peter Segal’s comedy “My Spy” as a tough CIA operative who has to babysit a young girl (Kristen Schaal). Also upcoming in 2020 is Guy Ritchie’s “The Gentlemen,” a macho gangster actioner starring Hugh Grant, Charlie Hunnam, Henry Golding, Michele Dockers, Colin Farrell, and Matthew McConaughey; it played well for exhibitors. And producer David Heyman is remaking “The Secret Garden,” this time with Colin Firth as the miserable rich widower who ignores the children in his vast country home. Julie Walters costars. 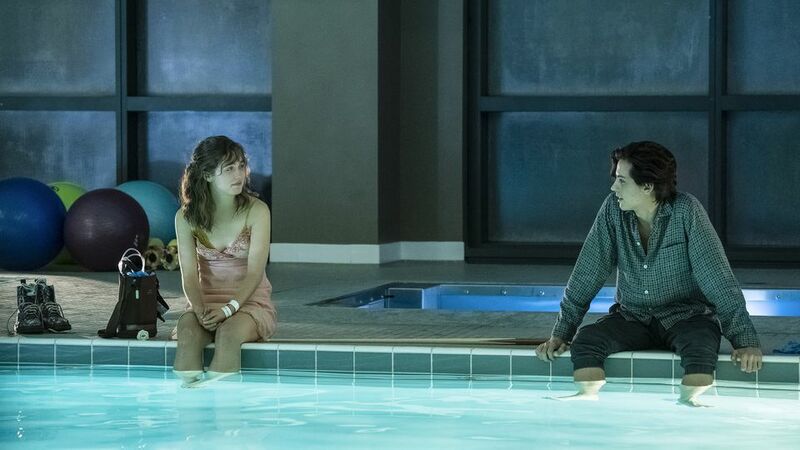 Lionsgate motion picture group chairman Joe Drake is also committed to luring audiences with agile marketing on hits such as the $7 million breakout “Five Feet Apart” ($62 million worldwide). Coming up is an eclectic slate led by genre sequels like Neil Marshall’s “Hellboy” (April 12), starring David Harbour, Chad Stahelski’s “John Wick: Chapter Three — Parabellum” (May 17) starring Keanu Reeves and Halle Berry, and “Rambo V: Last Blood” (September 19)starring Sylvester Stallone. Bound to be both big and loud, said Drake, is Roland Emmerich’s Veteran’s Day release, war movie “Midway,” starring Woody Harrelson, Patrick Wilson, Aaron Eckhart, Mandy Moore and Luke Evans. Jamie Lee Curtis plays a family matriarch and Daniel Craig is the detective trying to solve Christopher Plummer’s murder in Rian Johnson’s detour from the “Star Wars” universe, “Knives Out” (Thanksgiving), an unabashed valentine to an Agatha Christie whodunit, when “a family gathering turns bloody very quickly,” said Curtis. “Don Johnson, he’s my husband, and Chris Evans is our son.” Johnson promised “a Hitchcock thriller twist,” and begged everyone not to give it away. There’s also a year-end Roger Ailes drama from director Jay Roach and “The Big Short” writer Charles Randolph, starring John Lithgow, Charlize Theron, Nicole Kidman and Margot Robbie. Screened at CinemaCon was SXSW hit “Long Shot,” a satisfying romantic comedy starring Charlize Theron as a workaholic but lonely Secretary of State who falls for her scruffy speechwriter, played by Seth Rogen, who produced with his partner Evan Goldberg. (Not surprisingly, their production shingle Point Grey has signed a multi-platform deal with Lionsgate.) Also delivering more films to Lionsgate will be faith-based producer Kingdom ($83-million-grossing “I Can Only Imagine”), with such stories of redemption and uplift as Alabama country singer Jeremy Camp biopic “I Still Believe,” starring Gary Sinise. These are the bread-and-butter movies the exhibitors need to stay in business.